It goes without saying that if you're an Olympian, you've already accomplished an incredible feat. One medal that doesn't always get the attention it deserves, though, is the mysterious Pierre de Coubertin medal. But what is the Pierre de Coubertin Olympic medal, anyway? When was the last time someone got one, and why don't I hear more about this mysterious Olympic prize? Whether or not you bring home a medal from the Olympics, you've gained universal respect for your athleticism, hard work, and dedication just by getting there in the first place — but only select few will walk away with a Pierre de Coubertin medal. Before we get into the specifics of the Pierre de Coubertin medal itself, it's worth reviewing who Pierre de Coubertin actually is. Coubertin was the founder of the International Olympics Committee (IOC) and is widely considered to be the father of the Olympic Games as we know them today. Though the first modern Olympics were held in 1896, by 1906, they were considered to be the most prestigious athletic games in the world, largely due to Coubertin's vision and mission for the competition. Interestingly, Coubertin was also the first person to introduce the modern pentathlon into the Olympics in the year 1912. Coubertin's vision for the Olympics stressed an international community where athletes come come together and represent their countries with pride, creating unity among all corners of the world. It's no surprise, then, that the award named after him values sportsmanship above athleticism. What Is The Pierre de Coubertin Medal? The Pierre de Coubertin medal honors athletes who exemplify good sportsmanship. According to Cosmopolitan, it can also be awarded to athletes who display an "exemplary" service to the Games. It was inaugurated in 1964, so it's still a relatively recent part of the Olympics. Is It Awarded At Every Olympics? No. In fact, the Pierre de Coubertin medal is awarded by the IOC so rarely, it's only been given out 17 times. While many people are speculating that a Pierre de Coubertin could be awarded at the Rio 2016 Olympics to various athletes, none have been presented with it yet. Who Has Won A Pierre de Coubertin Medal In The Past? One of the more recent recipients, Vanderlei Cordeiro de Lima won the Pierre de Coubertin in the 2004 summer Olympics in Athens. A fan literally tackled Lima during the marathon race, causing him to finish in third place. Lima was astoundingly humble, though, saying, "It's bronze, but means gold." Another spectacular example: In the 1988 Olympics in South Korea, Lawrence Lemieux won the Pierre de Coubertin after literally saving the lives of his competitors while sailing. According to Britannica, Lemieux was clocking a time that likely would have earned him a silver medal, but when he saw team members from Singapore had capsized, he stopped and helped to save their lives. His brave and selfless behavior earned him the Pierre de Coubertin. 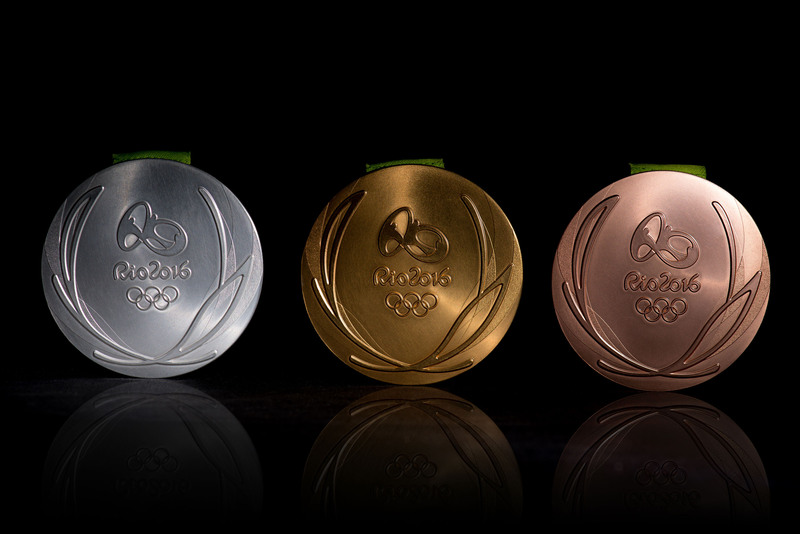 Who Are Some Contenders For The Rio 2016 Medal? Cosmo speculates that Abbey D'Agostino of Team USA and Nikki Hambli of New Zealand, the two women runners who collided, then helped each other complete the 5,000-meter race qualifier, are worthy contenders for the Pierre de Coubertin due to their display of incredible sportsmanship. 18 year old Yusra Mardini, who is representing Syria, is another popular choice; according to Good Housekeeping, she earned her place as an Olympic swimmer after saving 20 people in a dangerous journey across the Aegean Sea.